We are a team of highly skilled and experienced professionals offering case management and rehabilitation to adults with complex or catastrophic injuries including brain, spinal cord and orthopaedic conditions. We cover Southern England. We offer a fresh approach to case management by working in a highly collaborative way, sharing our professional knowledge and rehabilitation skills in order to achieve the best results for our clients. We work closely with our referrers, ensuring regular and timely communication and updates with regard to our client’s rehabilitative progress. We strive to provide a flexible service to meet the needs of our clients and referrers. We are always happy to talk to prospective clients and their referrers. Please call us on 01243 769081 or alternatively contact us individually for an informal chat about our service and how we may be able to help. Our individual email or mobile phone numbers can be found on our biography pages. We help adults with catastrophic and complex injuries. Our first concern is to respect the client, their needs and choices alongside their best interests. We are rehabilitation experts who help solicitors & referrers with immediate needs assessments and post-instruction framework. 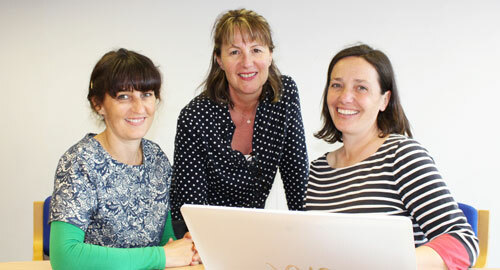 Three Case Management was founded in 2016 by Viv Cooper, Sophie Greengrass and Kaaren Wallace. Our aim is to provide an ethical, reliable and collaborative case management service. Read more.